Congratulations! You are ready to take a step towards fulling the American Dream of homeownership, a primary component of wealth building. A Harvard study showed that the median wealth of homeowners is 34 times higher than renters and that over half that wealth results from home equity. As you pay down your mortgage each month you build equity. Over time your home will appreciate building a nice nest egg for your retirement. You also have the tax benefits of mortgage interest and property deductions. You will also have a place you can make your own without catering to the whims of your landlord. What could be better. If you are committed to buying a home in Los Angeles or are just in the early stages, hopefully these home buyer tips will help you understand the many steps involved in the process. Buying a home will be much easier if you know what to expect and are prepared. 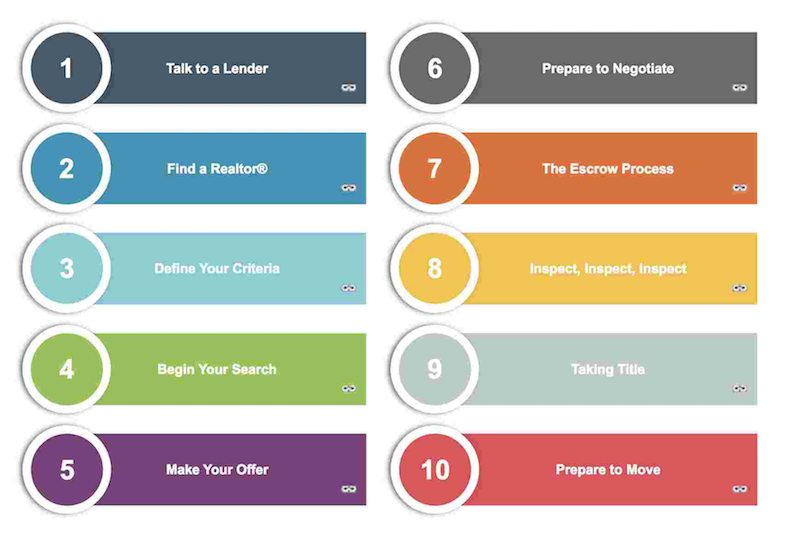 Follow the guide and smooth your path to home ownership. Check back from time to time as I am sure I will be adding to and changing the above. Hopefully this will bring you one step nearer to home ownership.